Address: Hoxieng Village, Khem kong, Luang Prabang, Laos. 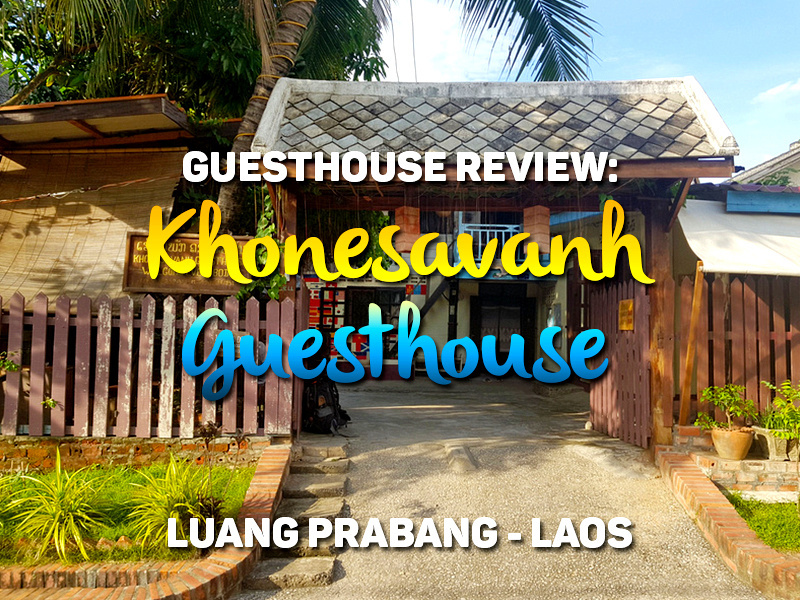 I stayed at Khonesavanh Guesthouse in Luang Prabang. I booked in advance online and picked it for its location and price. 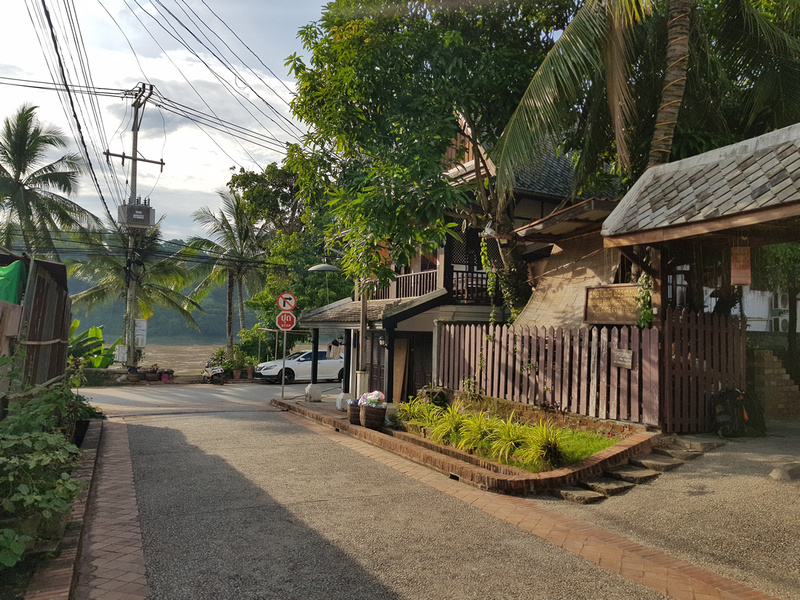 I’ve been to Luang Prabang before, and I recalled that I liked the riverside area where the budget guesthouses are clustered. There wasn’t an official address given, but the airport taxi knew where it was at least, plus I had it loaded on my Google Maps. 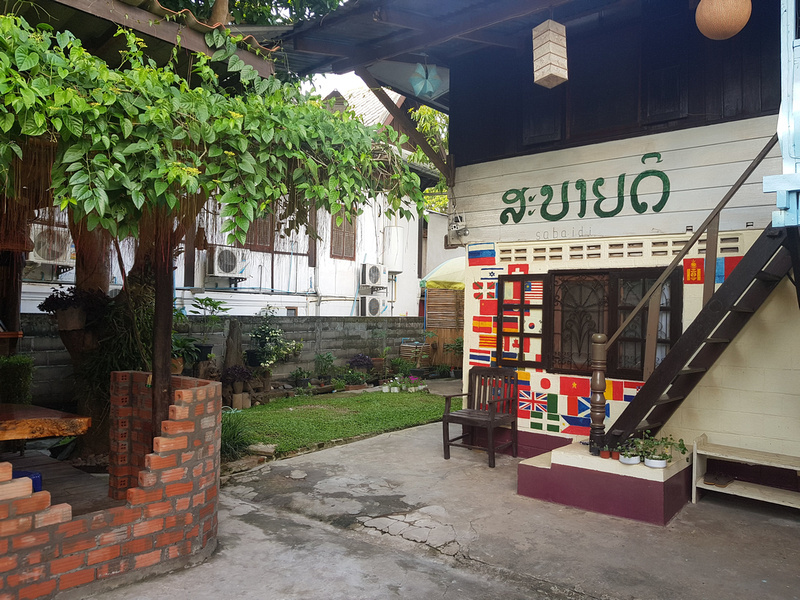 There is a cool old building on the corner of the main road with “To Khonesavanh Guesthouse” on a sign. It’s pretty hard to get lost in Luang Prabang. 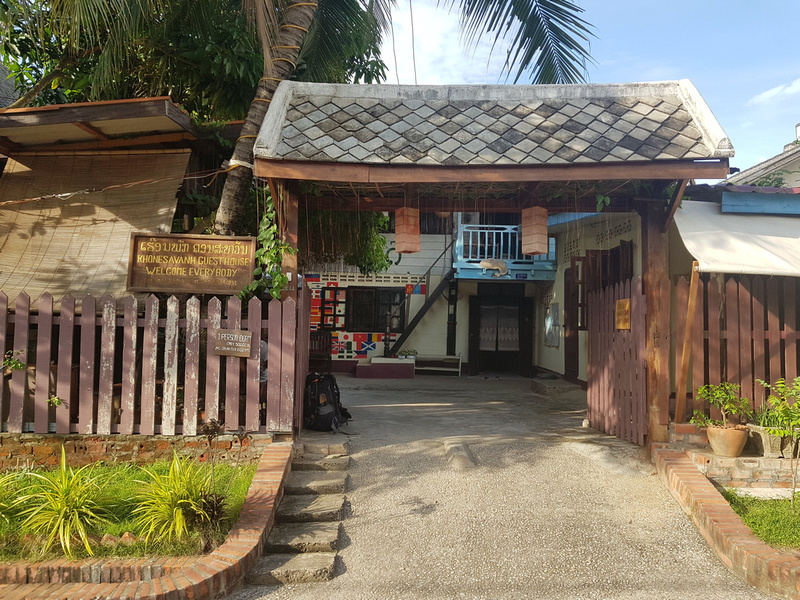 The Khonesavanh Guesthouse is in an old wooden house near the Mekong River. There is a common area outside in the garden. I got a private room with a shared bathroom. 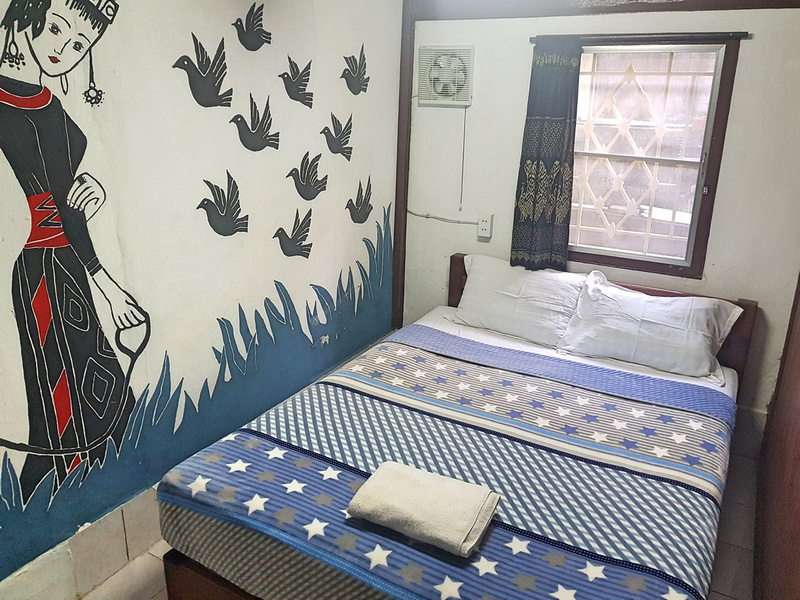 The room was basic, with a comfortable bed and a big mural of Laotian villagers on the wall. The room had a fan, no a/c, which was enough to keep the room comfortable. 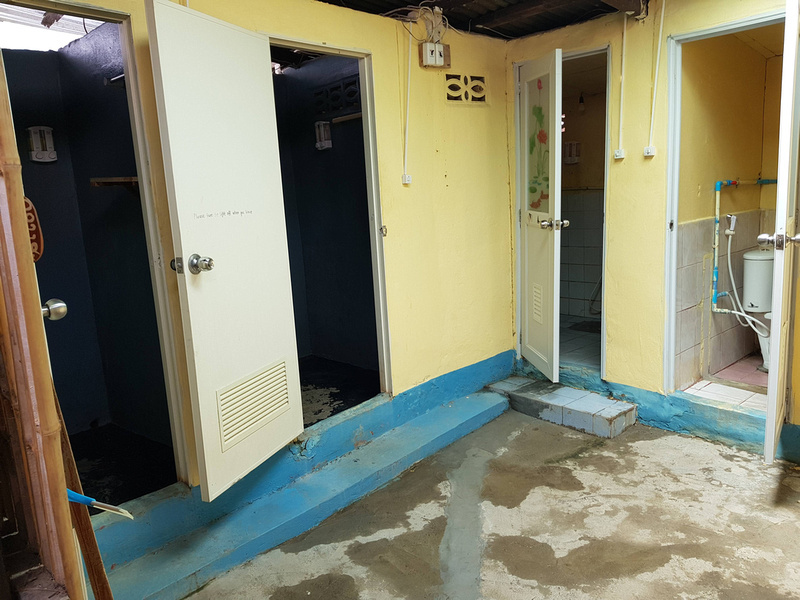 The bathroom had separate toilets and showers, with a communal sink area. They were all in clean and orderly condition. The only problem was they were inconvenient to my room. They were behind the main building, so I had to go outside and behind to go to the toilet. 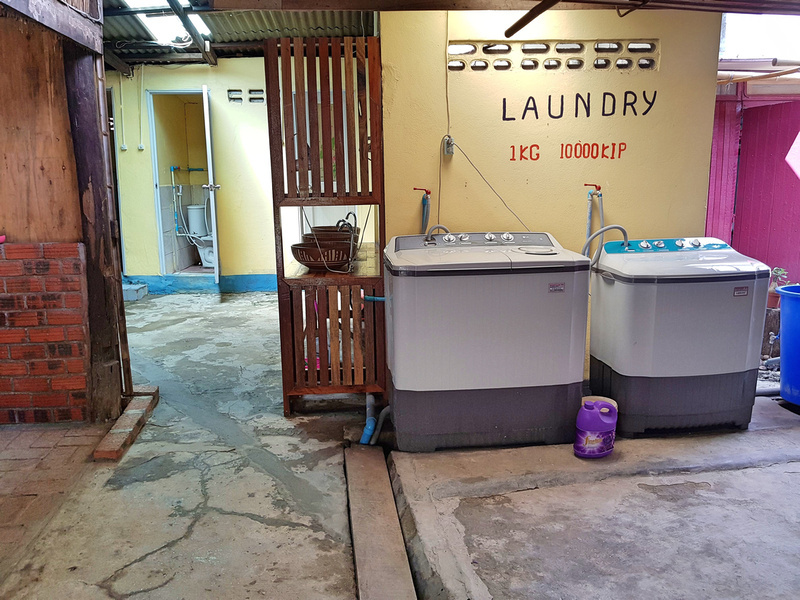 There is a laundry service available which is done for you. There is no breakfast service here, so the best option is to try the riverside restaurants nearby where you can have breakfast with a view. Overall this was an adequate budget room given the price. The room was fine but the bathroom was too inconvenient for my liking. 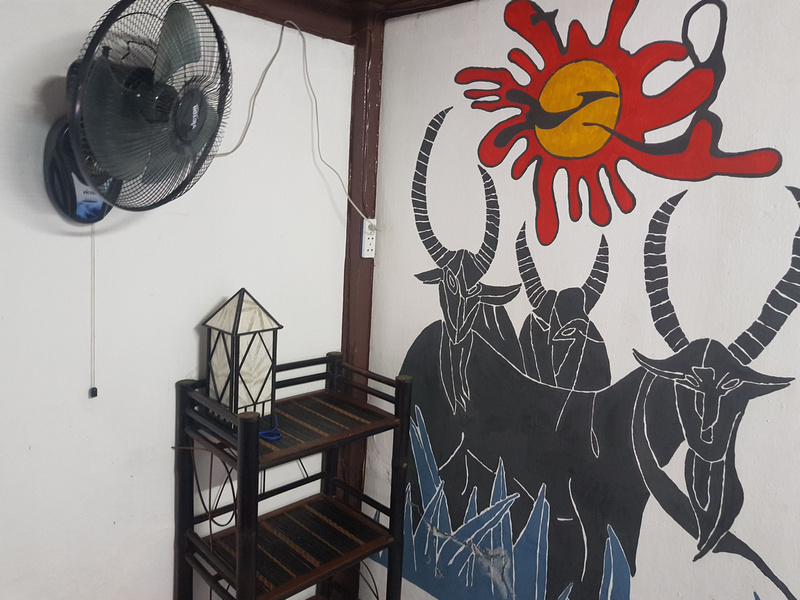 Book the Khonesavanh Guesthouse online or search for more hotels in Luang Prabang. 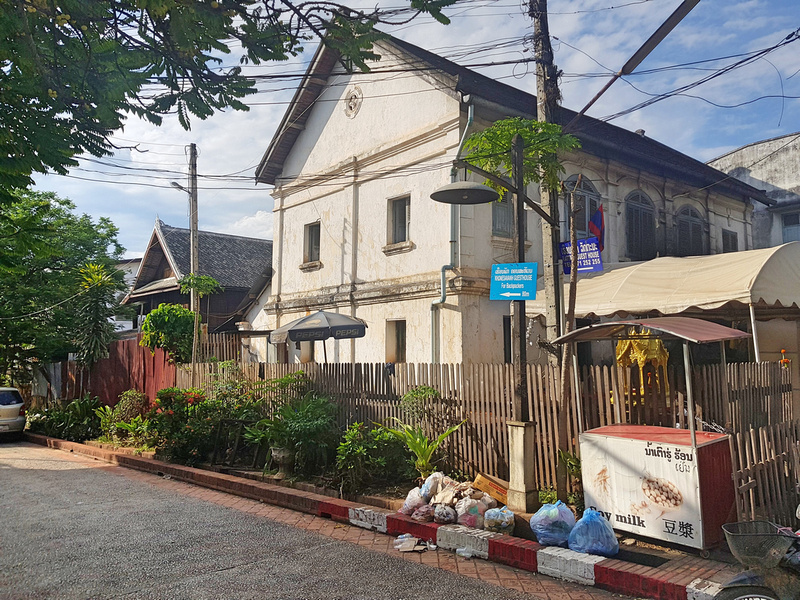 If you are visiting for the first time then read my guide on the best areas to stay in Luang Prabang.